Doesn't every little boy wish they could be a DINOSAUR?! 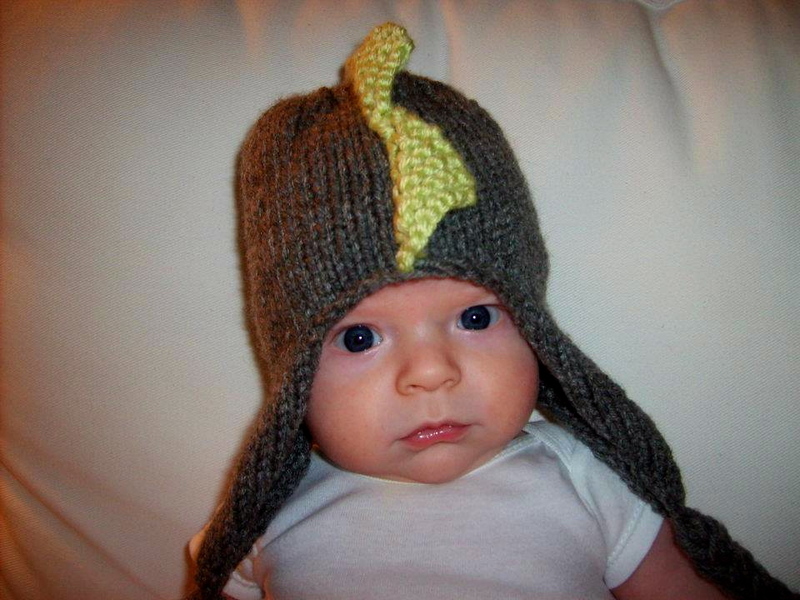 Well this way, they can stay warm AND look like a cute little dino! I love earflap hats. They seem to stay on better, especially on kids. There are a lot of good(and FREE) earflap patterns out there. But I chose to use the one off of Petite Purls. They have lots of different designs that you can make on the hat by doing fair isle. I haven't tried fair isle, but I hope to soon! 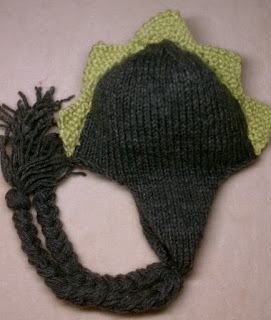 In my video tutorial, I show how to make this beanie, and also how to make the spikes! Any worsted weight yarn. Less than 1 skein. I didn't know you had a blog! You are so talented. Wow. My blog is a teen book blog. Check it out! Hey, looking forward to making this. Any guidance if I wanted to make this for a three year old boy? If so, How much do you think I could increase the diameter? I have questions. I have made both tassels and have not cut either once I transferred onto the circular (I am working with two balls) needles. I have another question. I am watching the video and when I﻿ am looking at the left and right flap. Which one should have the working yarn and which side should have the cut yarn. Which way should the yarn be on the needle. ie near the point of needle or inside the loop. I am trying to figure that out by the video but do not want to mess up. Also, when you cast on the 12 is that based on the size you needed to do? I am looking at the pattern page 6 of 9. ie 6[9,12,15]. I am needing to do the largest. 15? I posted this on Youtube but wanted to cover all my basis ;) Thanks!! 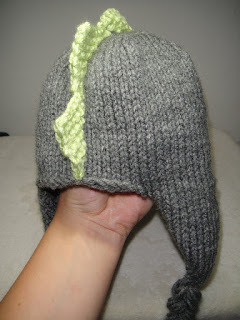 Okay, have your second earflap on your right needle with your working yarn on the left side of your earflap right? Now Cast on however many you have onto your right needle. 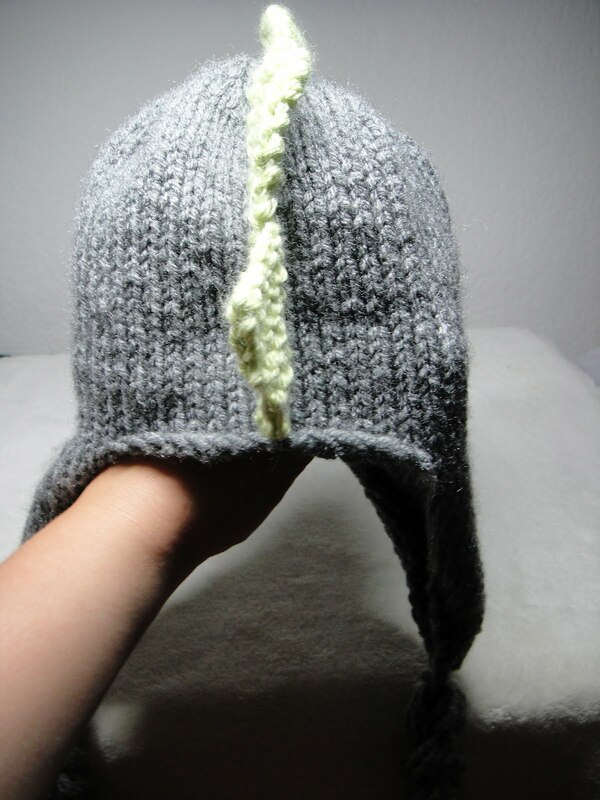 Now your first earflap should be on your left needle. Knit across it. and then cast on more sts. then join. Does that help?